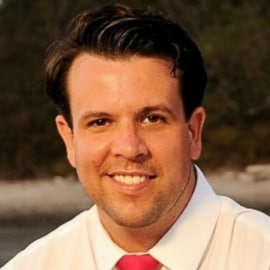 Jason Dispenza has over 15 years' experience in energy, technology, finance, and construction. In 2006, he founded EDGE Energy, which was awarded 2018 ENERGY STAR "Contractor of the Year" by the Federal DOE and EPA. Today, EDGE Energy operates as a vertically integrated energy services company licensed across several states - headquartered near Washington DC and employing roughly 60 people. In 2014, he co-founded a non-profit named E2F2.us which is now known as "Blockchain Frontiers Foundation," BFF. The Foundation operates as 501(c)(3) and is focused on community development and citizen data rights and using credit markets and blockchain technology to unite energy and housing programs with outside funding channels and industries like healthcare, insurance, and/or corporate social responsibility initiatives. This data privacy work lead Jason to co-found EnLedger.io in 2016 where they are exploring blockchain-based tracking technology and token-based access protocols for public, private, and semi-federated datasets. They aim to tie real estate and energy markets to fractional and community-owned projects, plus release a 2nd round for their stablecoin, named EECoin, along with a blockchain inter-operability platform for various crowd-funded energy and commercial real estate projects in early 2019.